From first concept to polished pixel, learn to create a mobile app that delights. This full-day workshop teaches participants to “think mobile” by planning and creating app interfaces in tune with the psychology, culture, ergonomics, and context of an audience on the go. Attendees will learn to conceive and refine an app’s interface and user experience in tune with the needs of a mobile audience—and their fingers and thumbs. The workshop explores the key principles of mobile and touchscreen design, using examples from the major mobile platforms. This workshop isn’t (only) for geeks. Experienced designers and newcomers alike will uncover the shifts in mindset and technique required to craft a great mobile app. It’s for everyone involved in the app design process—designers, programmers, managers, marketers, clients. The workshop equips participants to ask the right questions (and find the right answers) to make aesthetic, technical, and usability decisions that will make their apps a pleasure to use. This full-day workshop is built on seven 45-60 minute “chapters,” or sessions, with a series of exercises that build to teams creating a draft mobile design by the end of the day. 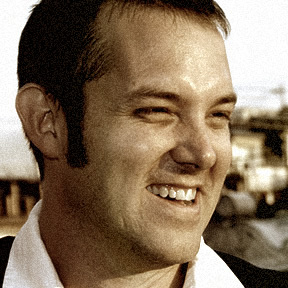 Josh Clark is a designer specializing in mobile design strategy and user experience. He’s author of “Tapworthy: Designing Great iPhone Apps” (O’Reilly, 2010) and “Best iPhone Apps” (O’Reilly, 2009). Josh’s outfit Global Moxie offers consulting services and workshops to help media companies, design agencies, and creative organizations build tapworthy mobile apps and effective websites.